7" circumference, 9" cuff to tip(small), 8" circumference, 9 1/2" cuff to tip (average). 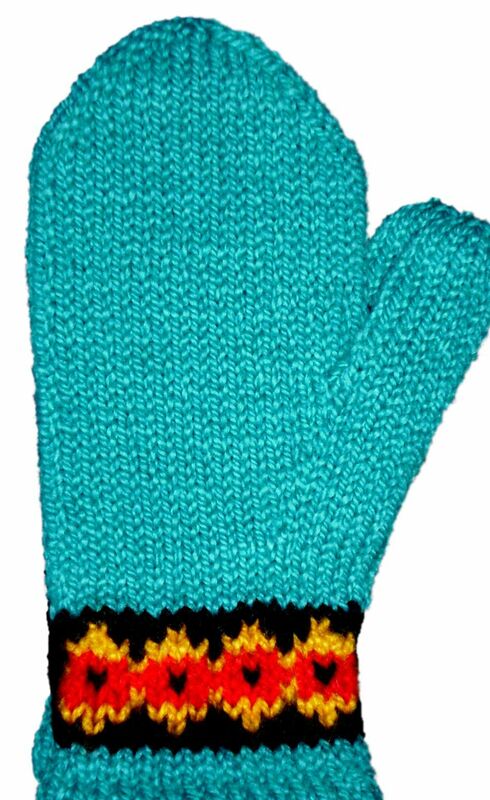 Colorful, fun, and warm - what more could you ask for in a mitten. How about stylish and fun to knit! !